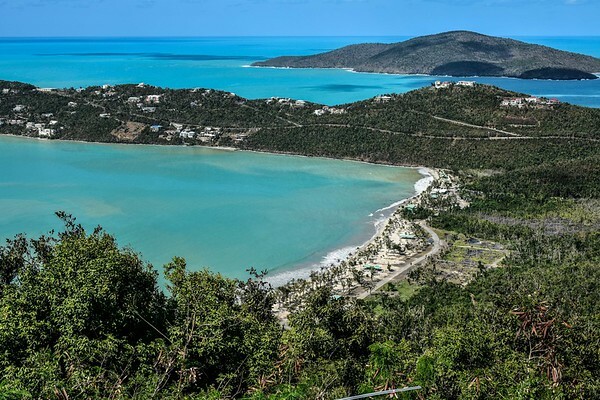 St. Thomas, U.S.V.I. 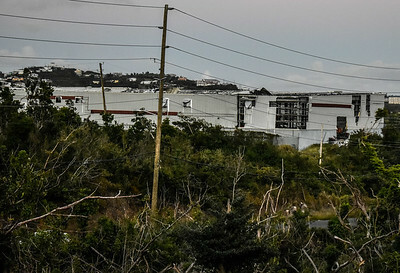 six months after Category 5 Hurricanes Irma and Maria rampaged the island within 10 days of each other. 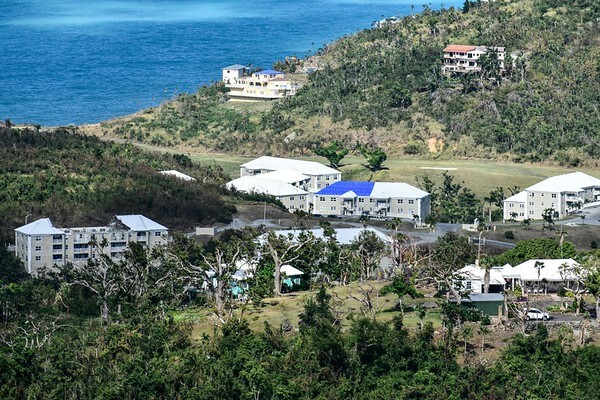 Blue-tarped roofs line a St. Thomas hillside amidst a few other damaged structures. 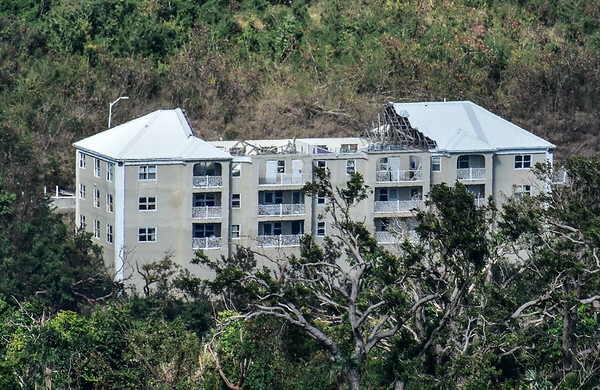 While many homes appear structurally acceptable from the outside, most homes that lost roofs suffered irreparable damage internally. 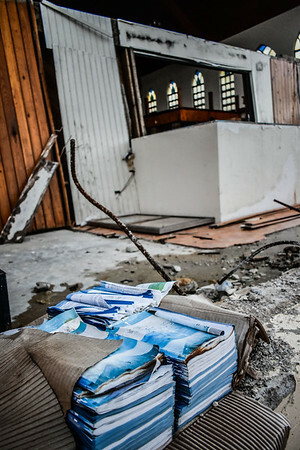 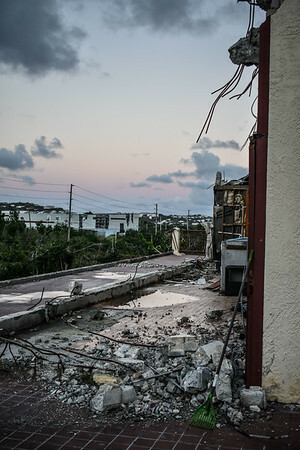 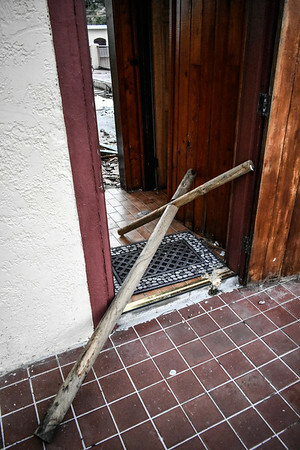 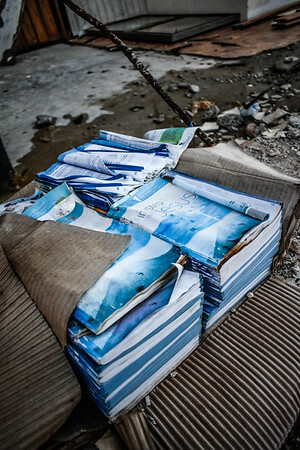 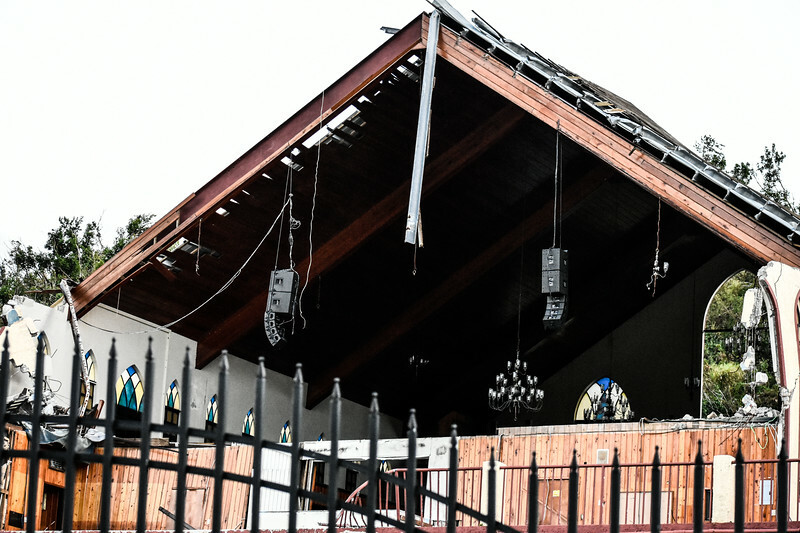 After Irma demolished roofs, Maria's torrential rains destroyed whatever remained intact on the inside of many structures. 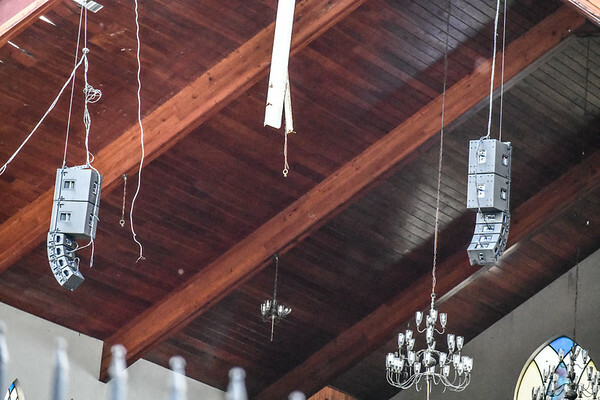 Black mold quickly devoured anything that remained, leaving many of these homes waiting to be gutted down to their studs before any possibility of restoration. 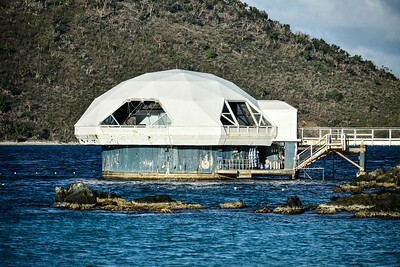 The Underwater Observatory owned and operated by Coral World in St. Thomas stands in apparent disrepair following brutal lashings by Hurricanes Irma and Maria. 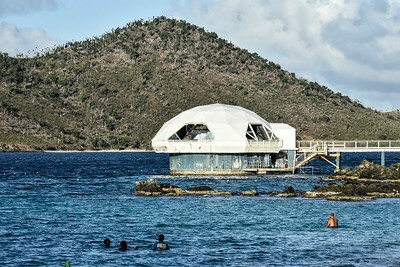 A few swimmers brave the waters of Coki Beach, St. Thomas as the remnants of Coral World's Underwater Observatory stand in the background. 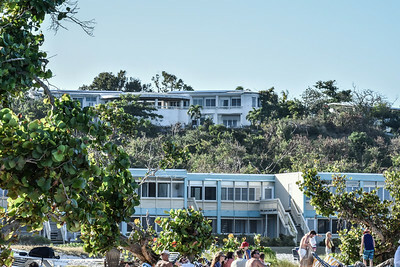 Bits of foliage begin to sprout on the hillside behind. 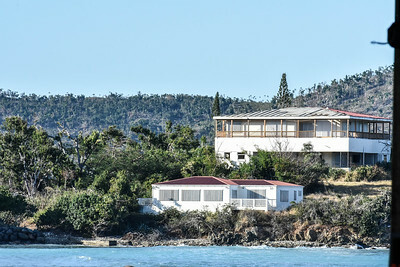 Mariel C. Newton Command Center, St. Thomas, U.S.V.I. 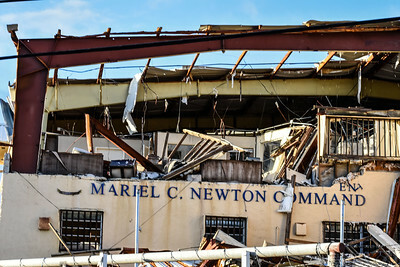 The remnants of the Mariel C. Newton Command Center, a law enforcement command center 6 months after Hurricanes Irma and Maria decimated much of the U.S.V.I. 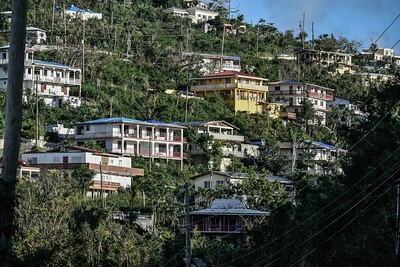 Fire Station, St. Thomas, U.S.V.I. 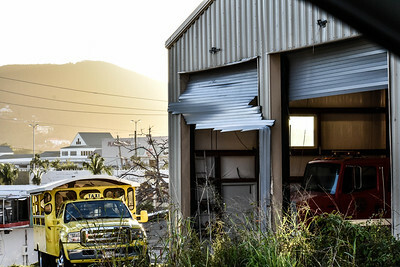 One of several St. Thomas fire stations damaged by Hurricanes Irma and Maria, still in use despite obvious structural issues. 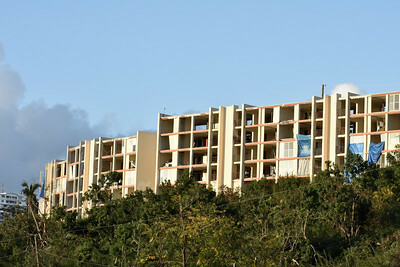 Tutu Park Hi-Rise Apartments, St. Thomas, U.S.V.I. 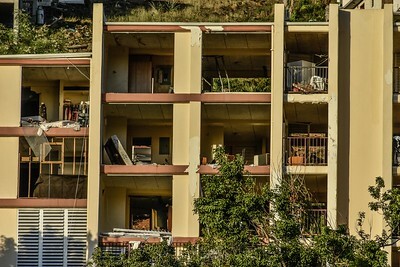 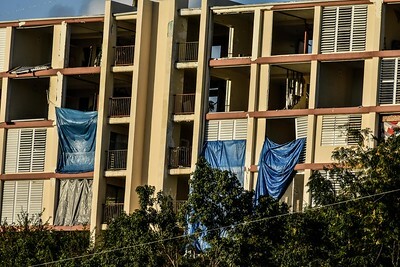 The inside of Tutu Park Hi-Rise Apartment Units remain clearly visible six months after Hurricane Irma tore off walls and roofs of the multi-level housing complex. 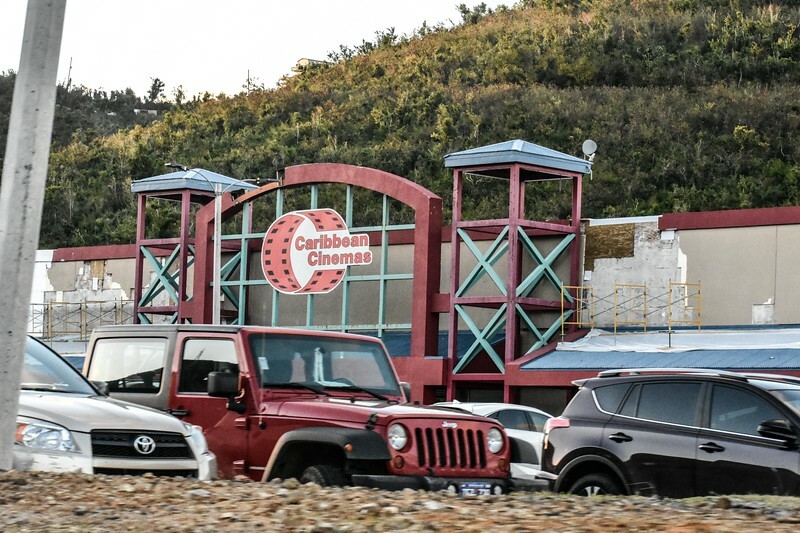 Caribbean Cinemas, St. Thomas, U.S.V.I. 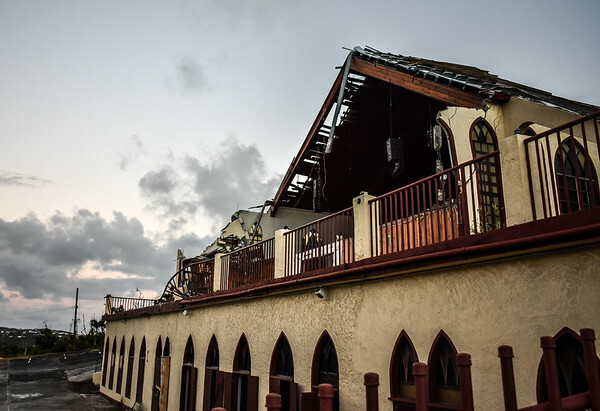 Caribbean Cinemas, St. Thomas' only movie theater, reopened for movies despite significant remaining external damage six months after Hurricanes Irma and Maria barreled through the U.S.V.I. 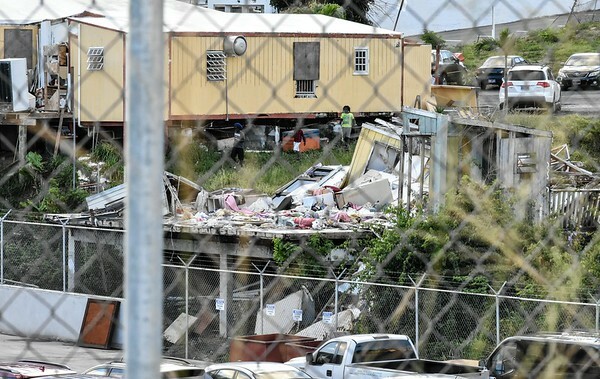 The remnants of Cost-U-Less, an island staple for food, supplies and provisions. 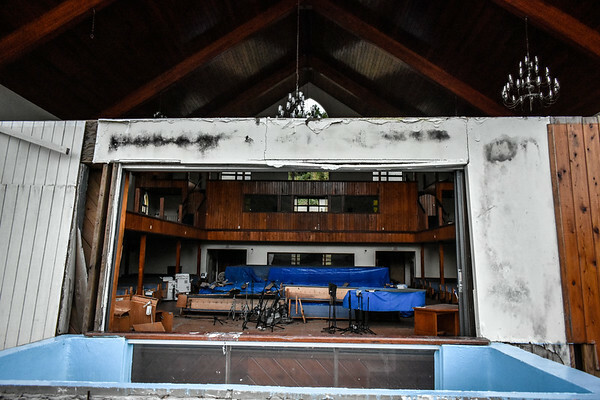 It will be demolished, though the company plans to rebuild.